Dr. Kimberly Bock attended medical school at the Medical College of Wisconsin and completed her residency in OB/GYN at New Hanover Regional Medical Center in Wilmington, North Carolina. 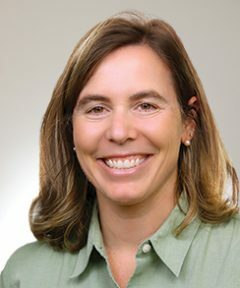 In her free time, Dr. Bock enjoys staying active (running, biking, skiing) and spending time with her three children. Dr. Bock’s philosophy on patient care is “I enjoy the whole spectrum of women’s care from adolescence through menopause. I strive to make each patient an active partner in their gynecologic and obstetric care. Ultimately, it is my job to help guide their decision making and give each patient the tools to make good choices.” She specializes in obstetrics, gynecology, and robotic surgery.